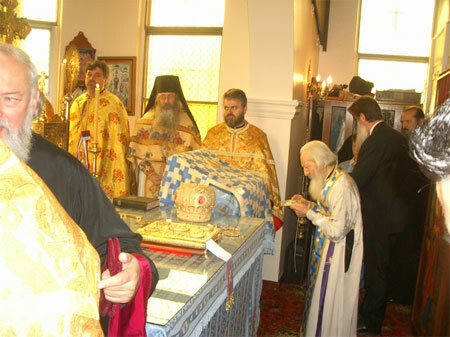 His Holiness Patriarch Pavle being vested in the altar of St George's Church in Cabramatta. 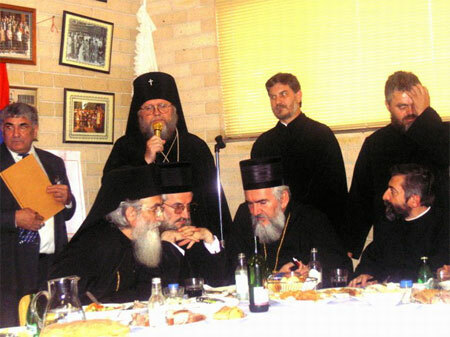 Archbishop Hilarion and His Holiness Patriarch Pavle in the altar of St George's Church in Cabramatta. 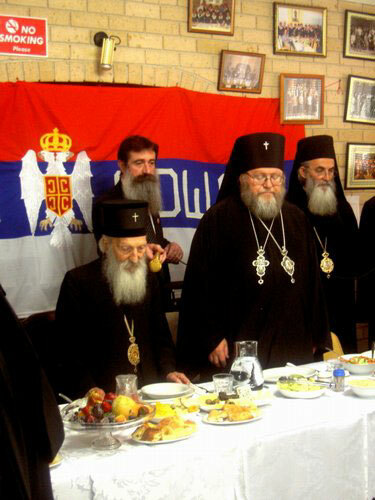 His Holiness Patriarch Pavle in the Serbian monastery in Melbourne. 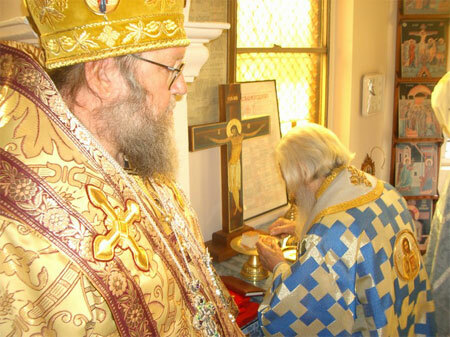 Serving with His Holiness as subdeacons are Readers Alexander Paramonov and Nikolai Kovalenko of the Melbourne Deanery of ROCOR. 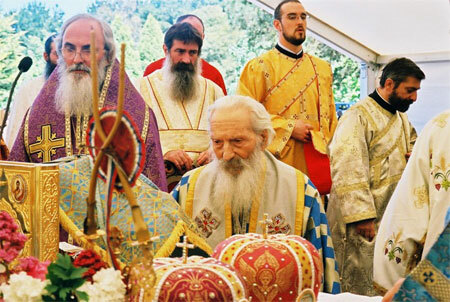 Divine liturgy under the open skies at the Serbian monastery in Melbourne. The Cathedral of the Serbian monastery. 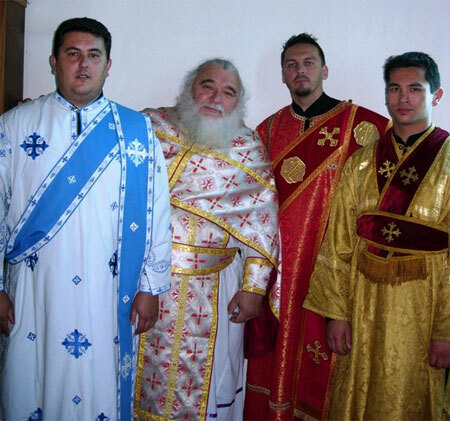 Clergymen of the Serbian Church and Russian Church Abroad who studied at Holy Trinity Seminary: Deacon Milic Rakic, Priest Dragoljub, Deacon Vadim Gan and Reader Alexander Paramonov. 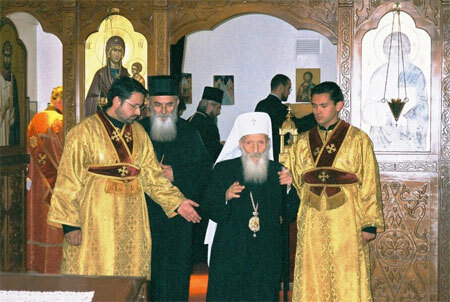 His Holiness Patriarch Pavle and Archbishop Hilarion pray before the trapeza. 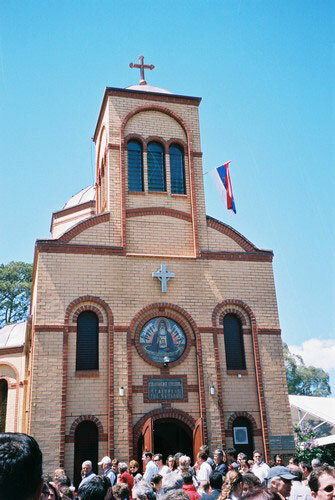 Archbishop Hilarion's warm welcome drew thunderous applause in the overfilled hall at St George's Serbian Church in Cabramatta.